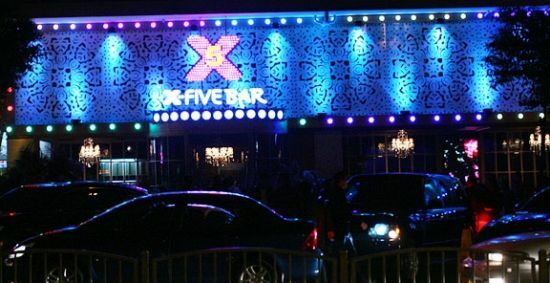 Bars & Clubs in Changsha! 1. Jiefang Xilu - right in the centre of town and by far Changsha's glitziest street, here you'll find all the main clubs like M2, MUSE and SOHO! 3. Xinmin Lu pretty much has most of the 'expat bars' such as Deli-Crave, Hooligans and Hawa. It's on the West Side of the river, near Yuelu Mt. 4. HouJiaTang (close to the stadium) has a Hawa and a short distance away is Mega, Paulaner and Helen's Bar (there's also a subway sandwich place). Alive bar is a very upmarket, stylish bar with regular live music by foreign bands, jazz nights and a generally chilled ambiance. Although not for those on a budget, it is a great night out with beautiful people and gives a nice feel-good factor to going out in Changsha. Try it. Located centrally, close to the La Nova Mall. Xingsha, QuanTan, HuaTian Hotel, LiXiang East 6 Rd / 长沙星沙泉塘国际物流园C区12栋7号（略萧邦泉星小学旁边）. This is a pleasant, relaxing bar located in the far North East of the city (Xingsha district) and as such receives a number of foreigners who work in the area. The bar is small, darkly lit and a very chilled place to grab a drink or chat with friends. There are a number of drinks offers making this an affordable night spot. Website. 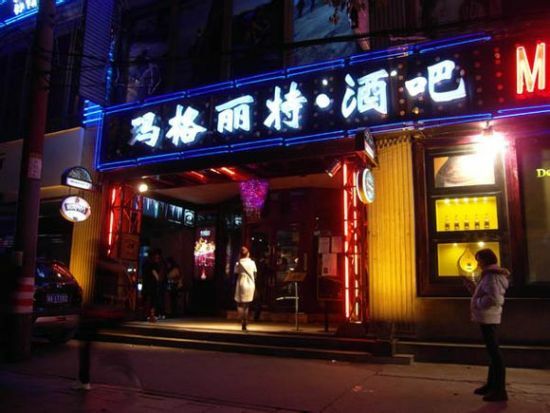 This small bar sits among the many of Changsha's classic, cobbled street of buzzing small bars (HuaLongChi, near Walking Street). It's specialty is that it has four floors with the third floor having two small KTV (karaoke) rooms and the large roof terrace and large screen, thus making this bar a superb summer rooftop venue! HuaLongChi 39. 化龙池39号 (midway on the right-handside on 'bar street'). HAWA cafe/bar is a cosy cafe with rustic wooden furnishing and eclectic decorations from around the world. To put it simply, it’s a chill hangout. Great western food from pizza and pasta to burgers, American-style breakfasts and fresh squeezed juices. The prices are incredibly affordable and make it an ideal spot for students and expats of all kinds (HAWA even lets you write on the walls!). It’s also an equally affordable and relaxed bar with great prices on shisha, lively festivities and fantastic drink deals every night. Directions: Xinmin Lu, near Yuelu Mountain and Hunan Normal Uni. Let's bar is a small but cosy, stylish bar situated inside ID Shopping Mall, right next to the main Walking Street area. It sits next to the ice rink arena (inside the Mall, 4th floor) and all the major stores and therefore benefits from a lot of shoppers who breeze in for evening burgers, nachos and beers (of which there is an impressive selection of imported bottled beers). 57-1 LaoDong Zhong Lu, DongTang Dong, Changsha. Tel: 15874026331 (English). Tel: 15874035131 (Chinese). MEGA is a Cafe by day and Sports Bar by night! Watch LIVE sports on a BIG Screen or MULTI screens, no matter the sport, or enjoy the variety of popular music which has been especially selected. You can also play foosball, pool and darts with your mates or challenge one of the staff. Enjoy some western comfort food such as steak & chips, burgers, pizza and much, much more. There’s a great selection of beers, shots and cocktails which are only available at MEGA. Welcome to MEGA and appreciate our simple motto that is ‘people together, having fun’. Paulander Brauhaus is the official German brewery company and offers a selection of brewed-on-site beers using special recipes, which is served up along side authentic and wholesome German cuisine. The pub is smart and stylish with a stage area outdoors and live music is often going down. It is found at the rear of the new Kempinski Hotel on Shaoshan Nan Lu. Bus: The buses: 2, 7, 107, 102, 123, 137, 146, 159, 915 and 旅2. Bus stop name is Shazitang (砂子塘）. Directions: Head south along Shaoshan South Rd from Dong Tang (close to Mega bar). The gleaming Kempinski Hotel on the right will become obvious and the pub is hidden behind. This is Changsha's premier live music and alternative dance venue, big on rock bands, a kicking youth vibe, popular with foreigners and, like other expat bars, located on Xinmin Lu (near Yuelu Mt). There are live acts almost daily at '46LV'! Similar to 46Livehouse, Redlive Club aims to bring in touring bands and alternative artists to Changsha, from rapsters to jazz musicians. A snug venue behind La Nova. Submit a place to share in this group. Complete the form below.